Schuster DM et al. Head to head comparison with ProstaScint (2014). Axumin images from 105 patients were evaluated by three independent readers who were unaware of the clinical details of each patient or whether the biopsy of the prostate gland was positive or negative for cancer. On average, a correct image finding was identified in 77 percent of patients. For cancer outside the region of the prostate, a correct image finding for cancer was identified in an average of 90 percent of patients. The results seem to be affected by PSA levels with, in general, lower PSA levels in patients with negative scans than in those with positive scans. In patients with PSA levels ≤ 1.78 ng/mL, 15 of 25 had a positive scan, with 11 confirmed as positive by histology; 71 of 74 patients with PSA levels > 1.78 ng/mL had a positive scan, of which 58 were confirmed as positive. Schuster and radiation oncologist Ashesh Jani are investigating fluciclovine’s use in recurrent prostate cancer to guide decisions about radiation treatment, in a National Cancer Institute-sponsored clinical trial. Radiologist Baowei Fei is researching how to combine fluciclovine with ultrasound to guide prostate biopsy. 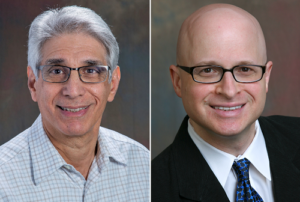 Urologist Martin Sanda and colleagues are investigating the use of FACBC/fluciclovine to assess cancer severity in high risk prostate cancer as part of a NIH-supported Prostate Cancer Biomarker Center grant. Fluciclovine is also being tested as an imaging probe for other types of cancer, such as breast cancer.